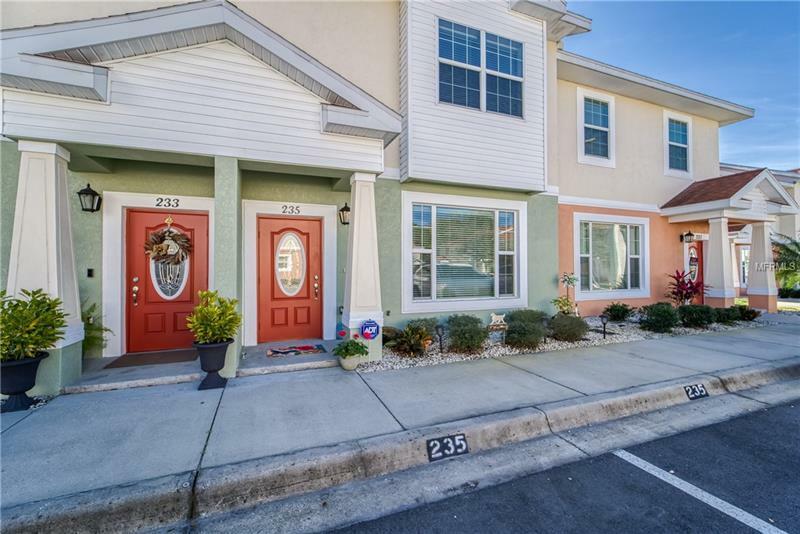 Better than new is an understatement when you see this townhome located in a high demand gated community of Alexander Woods in Plant City. Features 2 bedrooms 2 1/2 bath plus loft area on second floor and workspace/ flex area on first. Immaculately maintained and updated with class. Custom paint, newer carpet, beautiful quartz countertops in kitchen with complimenting back splash, High end kitchen appliances including stainless steel 4 door refrigerator, smooth top range/convection oven, dishwasher, microwave power grill version. Kitchen sliding glass doors lead to the covered lanai with a spacious extended patio overlooking their lush landscaping and gardening area. First floor is all tile with 5 1/4 baseboards throughout. Master on 2nd floor offers oversized walk in closet, generously sized 2nd bedroom. Must see to appreciate. This is the total package with so much to offer in such a great location. Gated entry, pool, playground, gathering area. Conveniently located to Tampa, Lakeland and Orlando. Just minutes from Historical downtown Plant City.